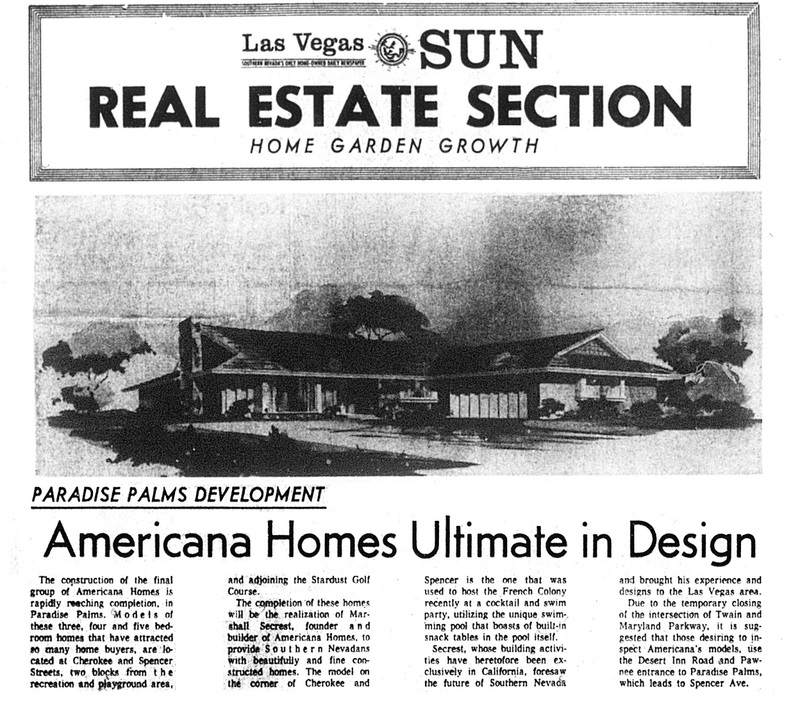 We've known that Americana Homes was behind the houses built on Seneca Lane, Seneca Circle, and on Ottawa Drive between Spencer and Algonquin (first shown here in 2011); however, recent research unveils a bit more information and confirms a few facts that show Americana Homes built more of Paradise Palms than originally thought. 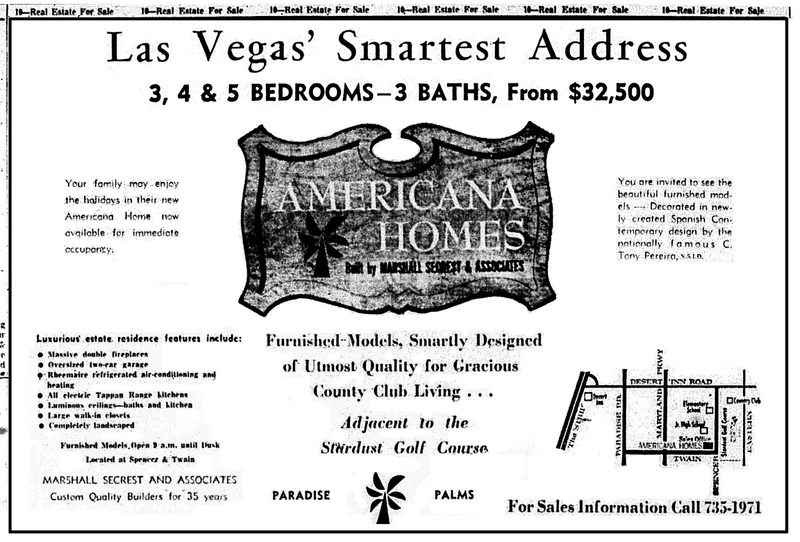 These ads individually confirm that at various times Americana had model homes at Spencer and Ottawa, Spencer and Twain, Tioga and Geronimo and at Cherokee and Spencer, establishing that Americana was the builder behind the Maricopa Way cul-de-sac and the Tioga/Geronimo Way ‘island’. 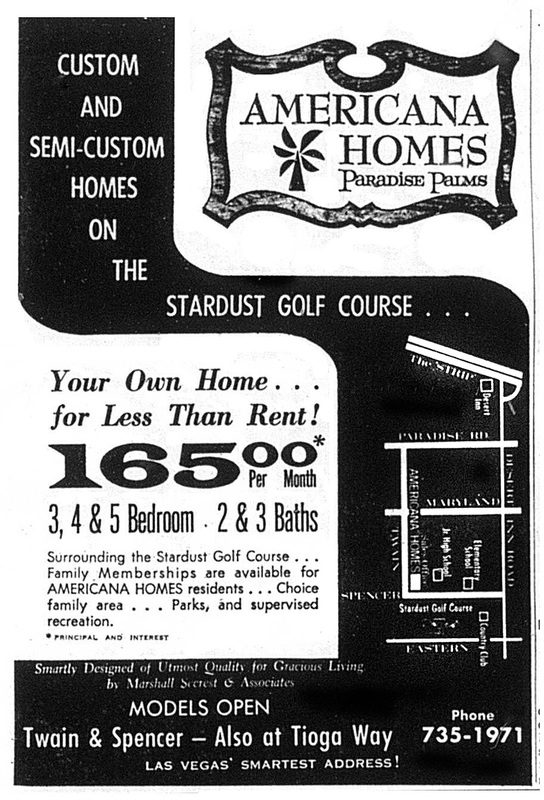 The article below from February 1964 announces Americana Homes had bought 31 lots, including the last 9 lots available on the Stardust Championship Golf Course. 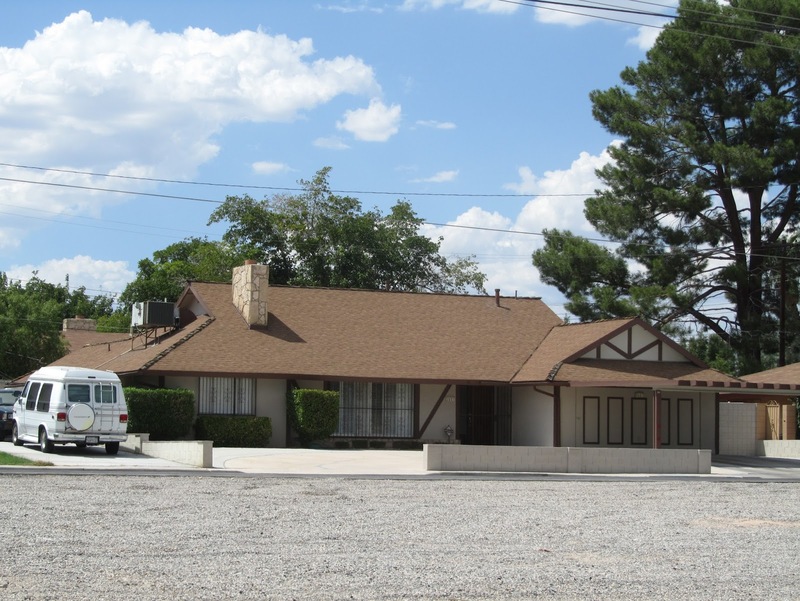 Those 9 lots were individually spread out along Ottawa Drive, Pueblo Way and Tioga Way. 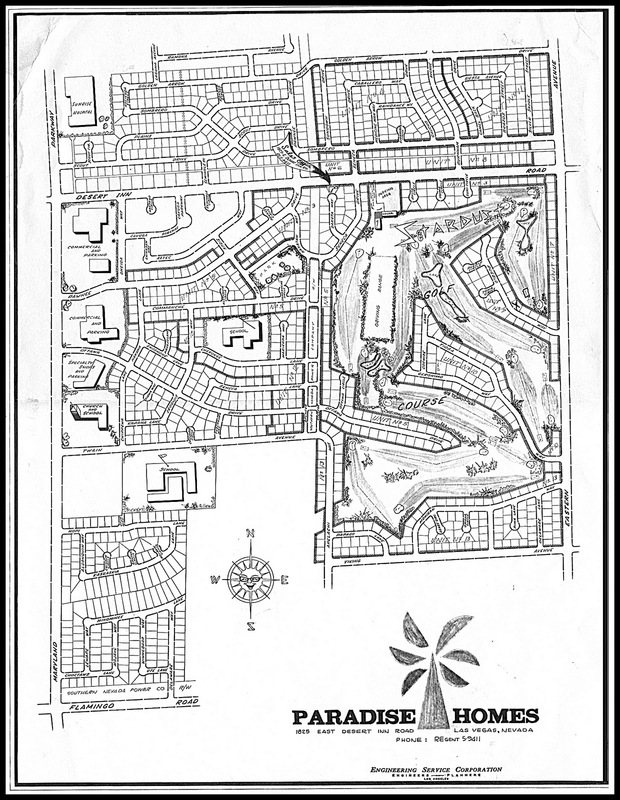 The remaining 22 lots indicated in the article comprise the Maricopa Way cul-de-sac, the first six lots on the west side of Spencer Street north of Cherokee, and the first four lots at the southwest corner of Cherokee and Spencer. 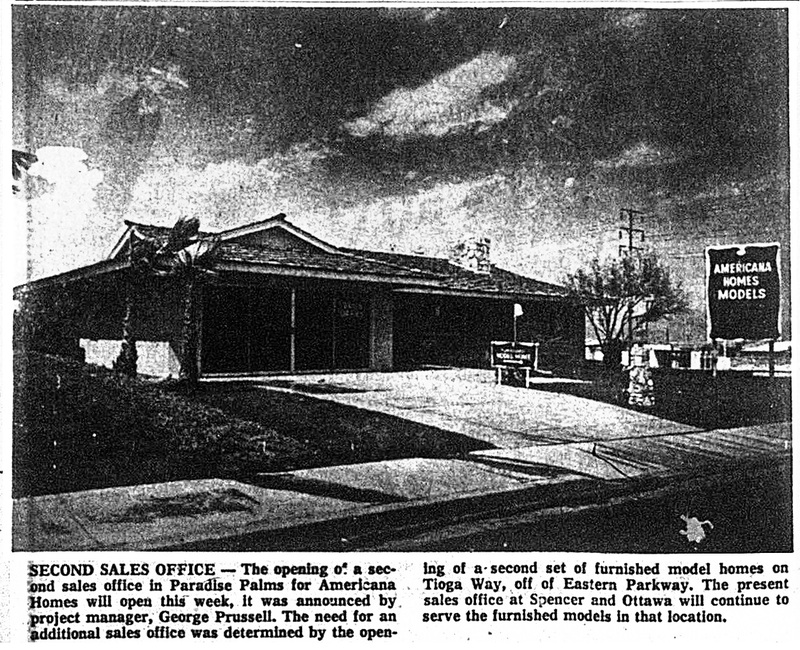 Americana announced a second sales office opening in Paradise Palms, eventually located on the west side of Tioga Way between Geronimo and Cochise. Home buyers were offered a range of tract and semi-custom home options with sixteen different elevations to pick from. 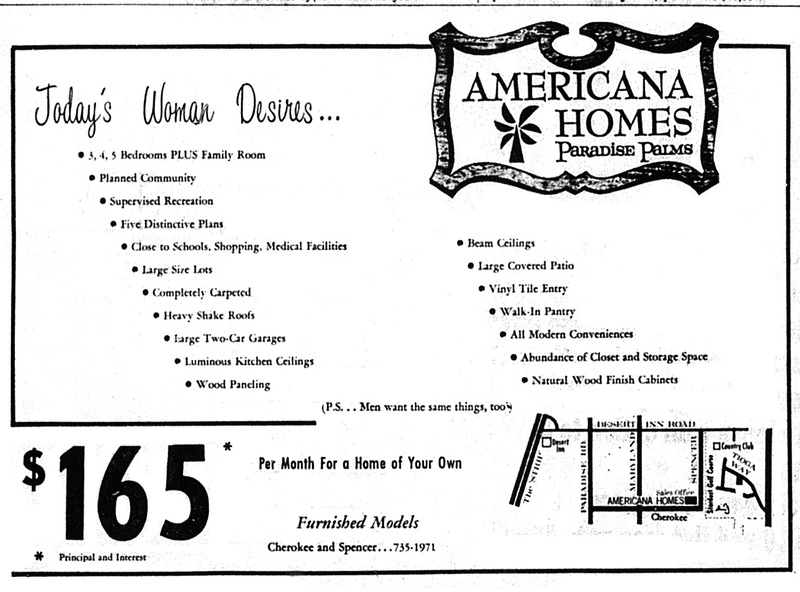 Home sales were so robust in 1964 that Americana had begun offering fully-furnished models for sale, including the original models on Ottawa Drive just west of Spencer. A second model was constructed and furnished at the northwest corner of Twain and Spencer, which was sold by the fall of that year. 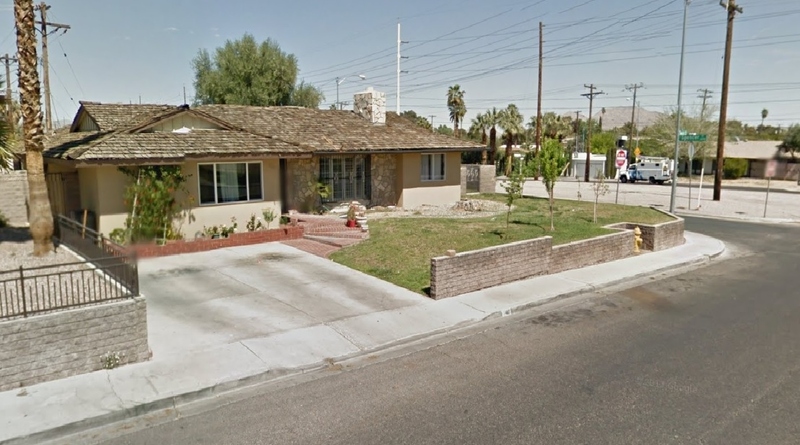 The 1964 Americana Homes weren’t cheap either – priced between $31,200 and $40,950, translating into $235,100 to $308,500 in 2013 dollars - meant that original buyers were willing to pay a premium for Paradise Palms. 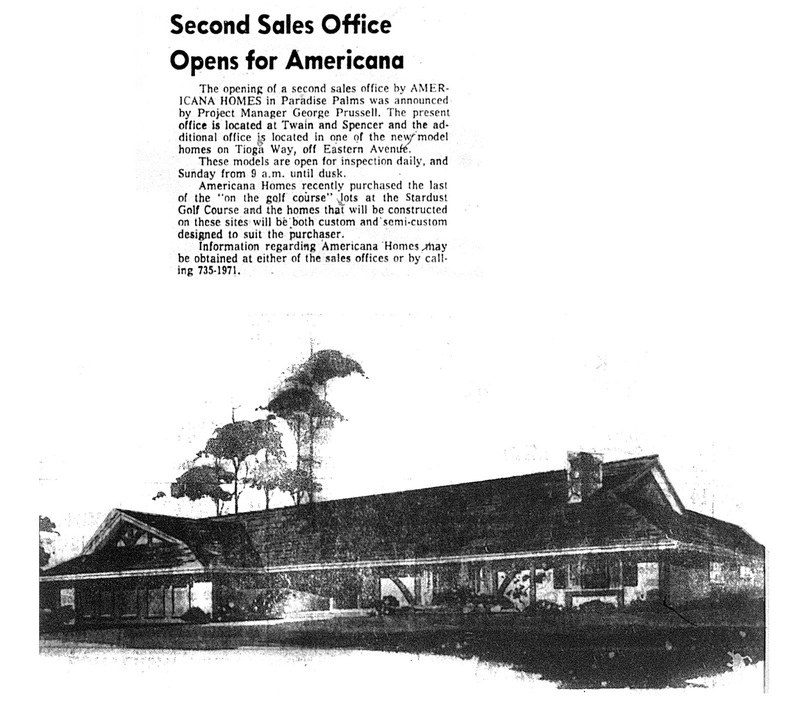 This second article from August 1964 indicates that the home located on the southwest corner of Cherokee and Spencer was the newest Americana model, a home which had the distinction of once hosting the French Colony for a cocktail & swim party. Current aerial imagery indicates that the unique pool with built-in snack tables described in the article is still intact and in existence. 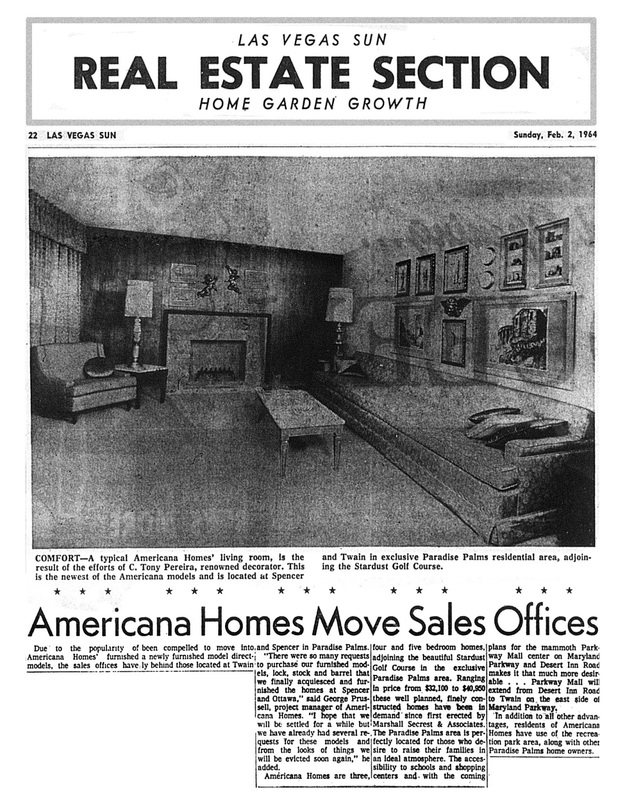 We also learn from this article that Marshall Secrest was the owner and founder of Americana Homes, and that his prior building activity had been exclusively limited to California. 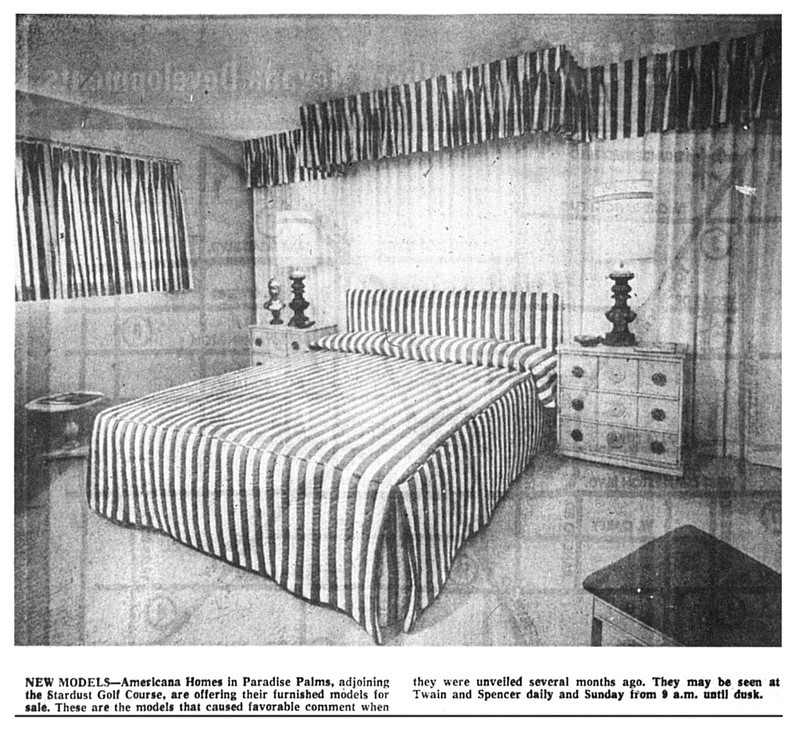 The remaining following images offer rare glimpses inside the Americana Models and the handiwork of interior designer C. Tony Pereria. 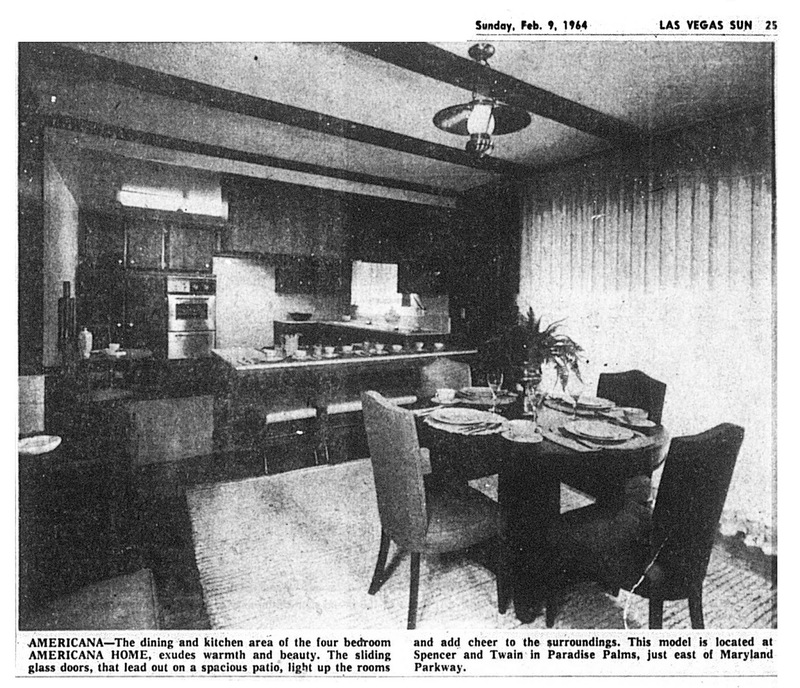 If you still can’t get enough Americana, our friend Jack LeVine at Very Vintage Vegas has a beautifully preserved and intact Americana Homes Plan A2, The Devonshire, for sale on Seneca Lane. Check out these great images of that home here. 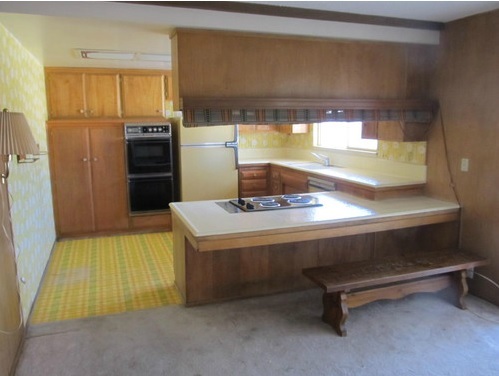 Well-preserved 1964 Americana home located on Spencer Street, just north of Cherokee. Home is mirror-image of sketch above, still boasting original five-panel garage door as depicted in builder’s rendering. 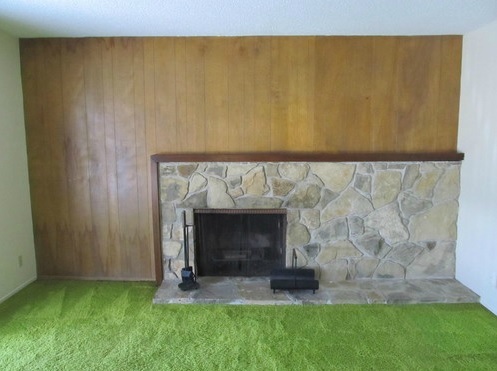 5/24/64 - Check out that couch!